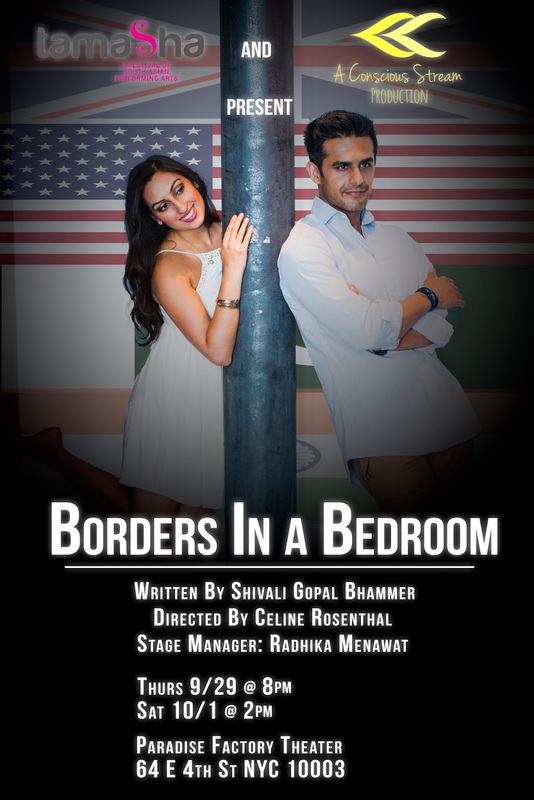 Meet the two characters in Shivali Bhammer’s new play Borders In A Bedroom. Maya is a smart, free-spirited artist in her late 20’s. Imran is an equally intelligent, pragmatic architect in his early 30’s. Maya is Hindu. Imran is Muslim. These two are clearly in love, with their cozy synchronicity often erupting into heated passion. Inside their New York apartment, everything should be tranquil for this easy-on-the-eyes couple as they prepare for Maya’s upcoming birthday party. 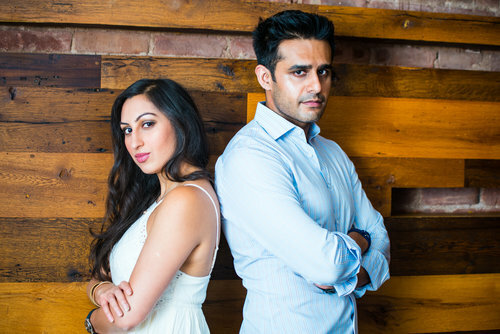 However, stories about terrorist attacks and political angst– courtesy of the news– frequently interrupt Maya and Imran’s domestic life to remind the pair (as well as the reader of the play) that there’s a restless world beyond the bedroom of the play’s title. Serious themes aside, however, Borders In a Bedroom is far from an exercise in theatrical “heaviness”. The play is imbued with a great deal of humor and warmth. JR: Hi Shivali. Thank you for speaking with me! So, is this your first play? What was the journey like, from the first idea to the actual completed project? SB: Actually, this is the second play I have written but the first one to be staged. When I originally wrote my first play A Soldiers Wife, it had so many characters and was a full length drama and dance. After one reading, I realized it would need copious amounts of experience that I just did not have at the time. I then set myself the task of writing something far more intimate: a tale of just two characters in a one-act play. The idea first came to me when I was looking to produce and act in a play at a festival and needed material. My co-producer and co-star Shez Sardar and myself went to the Drama Bookshop to find a play that would suit us. However, for people of South Asian backgrounds, it is a real struggle to see yourself as a “Polly” or a “Tom”. A casting director would never cast us because we wouldn’t fit the profile. I looked at the “World Section”, and it consisted of maybe ten plays or less. That is when I thought to myself: If you want something to exist and you can’t see it, then manifest it: Create it yourself. 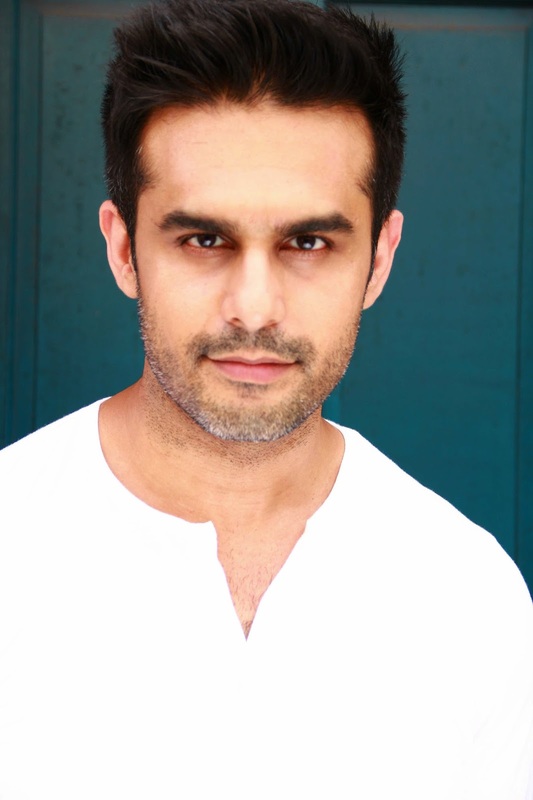 That’s when I committed to write this play: A play that other South Asian actors can act in. Something that involves us in the Western circuit, and not just as these stereotypes of “slumdog”, “arranged marriages”, “Bollywood” and “terrorists”. But also, something that shows us as this hybrid of the East and West, which is what many of us are. JR: I get it! So, was Borders in a Bedroom inspired by a true story? Were Maya and Imran inspired by real people? SB: It is hard to write a play when you know who you are writing it for, i.e. myself and Shez, because I needed to divorce our personalities and lives from it to give space for an authentic Maya and Imran to exist. I have some of Maya’s traits in that she loves current affairs, philosophy and knowledge. She is also an artist and a free spirit like myself. However, she is also the opposite of me in many ways. She is unromantic and can be quite cold in her perspectives of the world. I would not say she is a traditional “British Hindu” girl. She is eccentric and far more outlandish than myself. Imran is probably a rare breed of New York man in that he is serious about relationships, love, and having a family. You definitely won’t find him swiping right on Tinder. He is probably a lot of women’s dream man, apart from that he has not picked a typical woman who would notice that. I have tried to turn stereotypes upside down to show another “reality”, but also to really highlight how social conditioning can lead to deep racial and religious prejudices. I have been asked a few times now, “Did you have a relationship with a Muslim? Is this based on you?”. The honest truth is I haven’t. Growing up in England, I never experienced racism the way I know Shez had growing up in America. But we were firmly taught never to bring a “BMW” home. That stood for “Blacks, Muslims or Whites”. You were scared to date outside a Hindu, and even if you weren’t scared you just ended up sticking to your own because it was easier. However, writing Borders in a Bedroom has made me a lot more open-minded in general which has been a great learning experience. JR: Wow! That’s fascinating to hear. From my experiences, the stories of South Asian women are vastly under-seen on the New York City stage. Was this part of your motivation to tell this story? SB: It has always bugged me that on television or in movies you see many ethnicities, but you rarely see South Asians. Is this because we all became doctors and bankers? Or we are just type cast as “comedians”? I don’t think our stories are told that much, and if they are, it is always based on just common stereotypes. Oh, you’re the yoga women, you are the bindi-wearers, you are the people who dance like screwing a light bulb… It is boring. I want to give more, push all the boundaries, and really get people understanding who we are, where we came from, and what we stand for. Storytelling is a powerful way to eliminate ignorance… and in a political climate such as the one we are currently experiencing, sharing history and creating synergy and unity between people is very important. JR: Yep! Now, as we spoke about before, a lot of what we know about other ethnicities, cultures, or religions is often based upon what we were taught back in school, as children– if anything was taught at all. Those impressions are often firmly ingrained. Our views are also shaped by what we see in the media, especially the news. The same way we don’t see many South Asian women in the media, we don’t see too many positive images of Muslims– especially positive images of Muslim men, given our recent political climate. Do you feel that Muslim men are portrayed fairly in the media? And, do you hope to challenge stereotypes with Borders? SB: The media presents things very differently in the UK to the way it is here in the U.S. I find it rather sensationalized here, and to be honest I can’t really tell what is real and what isn’t. Maybe that is my fault as a dumb foreigner, or maybe it is because the media is generally misguiding. I personally have never felt Muslim men are portrayed badly in the media; however, people might not be smart enough to differentiate between a Muslim man and an Islamic terrorist. That is the danger. Now does the fault lie with the media or with the recipient of the news? I would hope our views are not formed in this way. However, if if they are then I definitely have challenged them in the play. JR: Thank you for that. What have been some of the biggest challenges you have faced as both the actor and writer of the play? SB: I’ve managed to let go of control over the script. I’m surprisingly very open to edits and cuts– which is hard for a writer– but I have an exceptional director, and so really it is a trust game. The challenge I faced was actually acting some of the more provocative and sensual scenes. Ironically, some of the Indian stereotypes and cultural differences really came to life when I felt I couldn’t be that close to my co-star. From my director and assistant director’s (both non-South Asian) perspectives, they found it hilarious that I treated my boyfriend in the play like a brother. My shyness was insurmountable. Everything was inappropriate to me. Thoughts kept running through my head: “What would my cousins say when they come to watch this?” “If I have a boyfriend and he is watching this, is he going to doubt my integrity towards him because I can do this on stage?” I had my mother calling me up worried about the poster of the play and the effect it has on my eligibility as a potential bride to someone one day. And the truth is, I had all these fears and then I thought to myself: Is this not what I am fighting against? I expect others to not be judgemental, but when will I be strong enough not to judge myself? I am not over it yet, but hopefully by opening night I will truly be acting rather than thinking. JR: Wow! Thank you for sharing. How has the support been for this project? Was your fellow theater community supportive? SB: My friends and family have been really supportive. The Tamasha festival we are part of is supportive, and I am hoping the wider theatre community will follow… but being a new timer is really hard. You are like an ant shouting at the giraffes, and none of them look down to hear you. 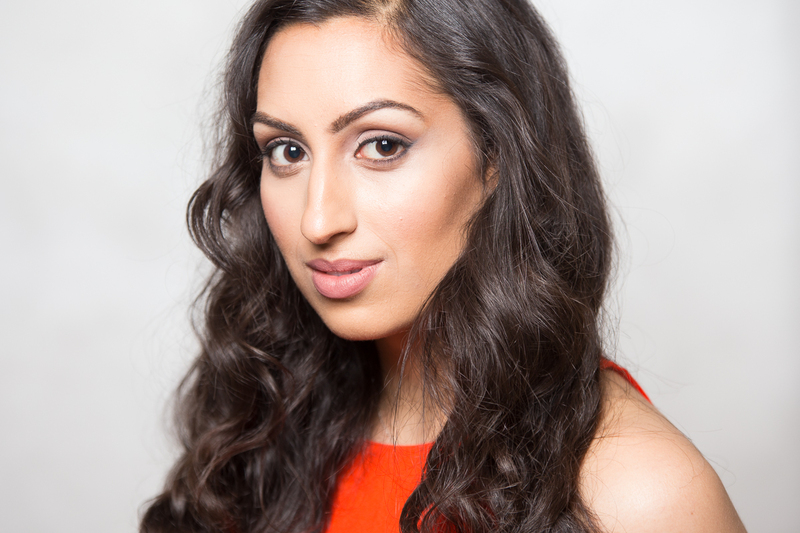 I am tired of the divide– South Asians performing for just South Asians. We are all a melting pot of creative consciousness. I want my audience to be a true reflection of this country, which is a rainbow of diversity in its richest form. JR: How true. Thank you for speaking with me. I look forward to seeing the show! 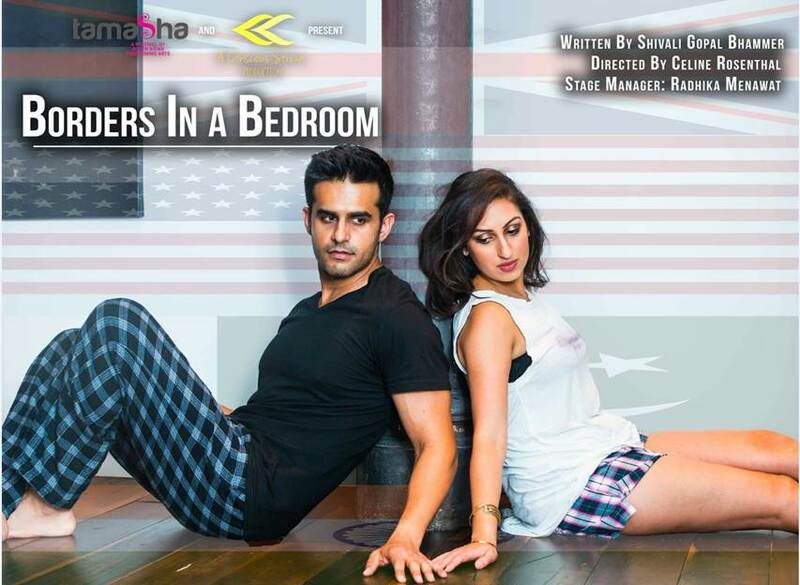 Borders in a Bedroom plays on Thursday, September 29 at 8PM and Saturday, October 1 at 2PM at Paradise Factory Theatre, 64 East 4th Street. For more information, visit www.TamashaNYC.org/theatre-borders-in-a-bedroom. The play is part of Tamasha, an annual celebration of the diverse perspectives, ideas, and imaginations of artists from the South Asian subcontinent and/or who belong to the South Asian diaspora. The festival runs from September 26th to October 2nd. For more information, visit www.TamashaNYC.org.